"We have been using Pacific Coast Arborists & Consultants' services for over 2 years and continue to be impressed. In addition to quickly and successfully resolving our emergency tree care needs, they have significantly improved the safety and visual appeal of our entire tree population. Because of PCA’s expertise and responsive service, our trees are now a source of beauty rather than a liability." 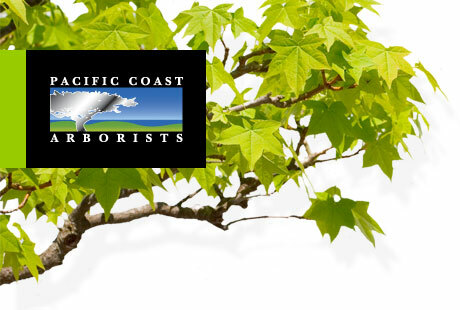 "The customer service from Pacific Coast Arborists & Consultants is amazing. They are extremely responsive, knowledgeable and a pleasure to work with. They are one of our best vendors." Edwin Paul, CPMs - Assistant Vice President & Property Manager, Wells Fargo Bank, N.A. "As a vendor management and consulting firm, we have managed Pacific Coast Arborists & Consultants on behalf of Coto de Caza. Pacific Coast Arborists & Consultants are among the contractors that are on the cutting edge of urban forest management. Above and beyond pruning, their proactive solutions are aimed at promoting a healthy, safe, and beautiful future for our client's trees." "I have worked with Pacific Coast Arborists & Consultants and Brandon Elrod in several of the communities that I manage. I have found Mr. Elrod to be very knowledgeable in the management of trees and in creating a viable tree program that will work within each association’s budget constraints. The customer service is beyond compare, and it is always the number one concern that the job is done right and that the association and the Board of Directors are happy with the end result. I would recommend Pacific Coast Arborists & Consultants highly to any HOA community manager." "It has been a pleasure working with Brandon Elrod, of Pacific Coast Arborists & Consultants. Over the past several years I have come to rely on his expertise and integrity and have referred him to our company's largest clients. When I was manager of a high profile master association, he was always willing to go the extra mile to meet my client's needs. In an annexing community, he responded the same day to a request to trim around the developer's marketing signage throughout the association. These experiences and others demonstrated that I can count on him to get the job done and to make sure that it is done the right way."